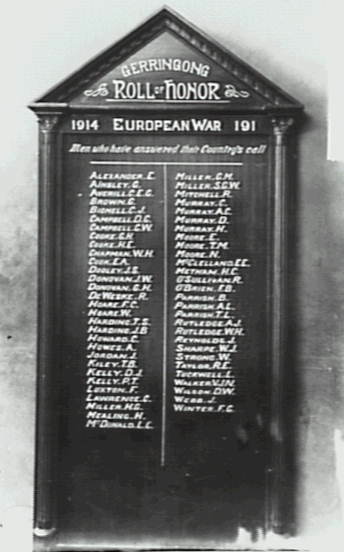 This image of the Gerringong Roll of Honour was found on a post card in Wollongong Reference Library. Its location is unkown. Men who have answered their Country's call.